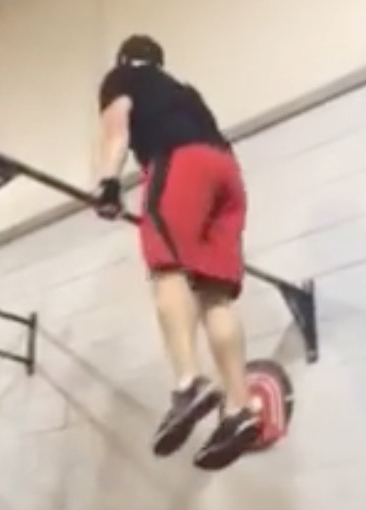 Our gym, CrossFit Addict, saw a slew of athletes join the muscle-up club. To them, we offer our congratulations. Drew not only got his first bar muscle-up, but they felt so easy to him that he felt the need to repeat the workout to see if he could get even more. Paul got in on some muscle-up action, too. I think he got a couple reps in. 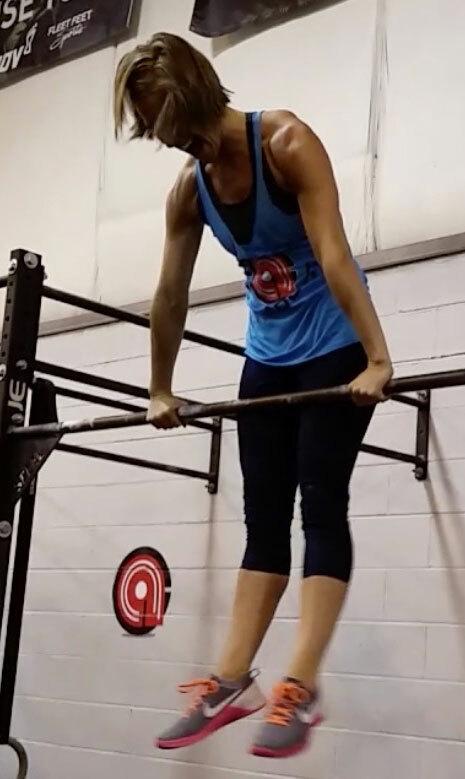 Kayla performed a handful of reps that could barely be identified as muscle-ups, but somehow, her body was above the bar and her elbows locked out. Her technique is patent-pending. 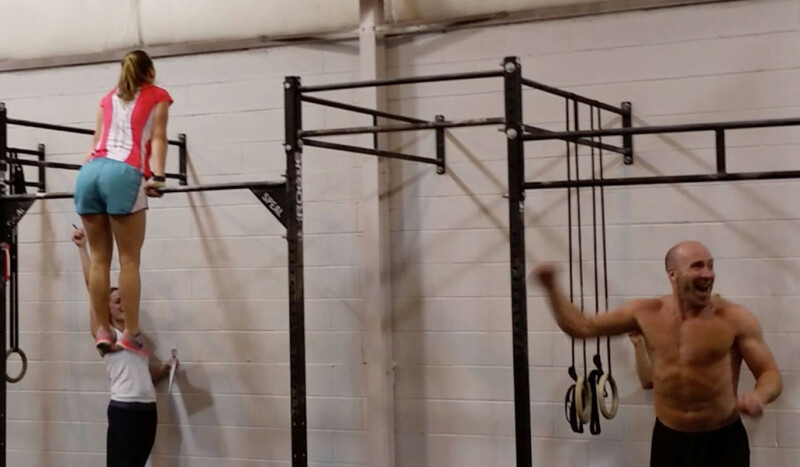 Robbie got a few of his first muscle-ups in, but not before ripping his hands to shreds. I’m not even sure the guy feels pain. Rachel—arguably, one of the strongest women in our gym—was searching for her first muscle-up. After about 6 minutes and 8 attempts, she nailed it. Ironically, Trey was even more excited than she was. For those whom didn’t join the club this time around, keep your head up. It’s one movement. One workout. The muscle-up does not define your fitness. It’s not one of CrossFit’s 10 general physical skills. And by no means should it leave you feeling defeated after 16.3. There are many movements in CrossFit to work on, and you are getting better & stronger every day. Continue pushing your boundaries and you’ll get there. The battle between McCloud & me is heating up. 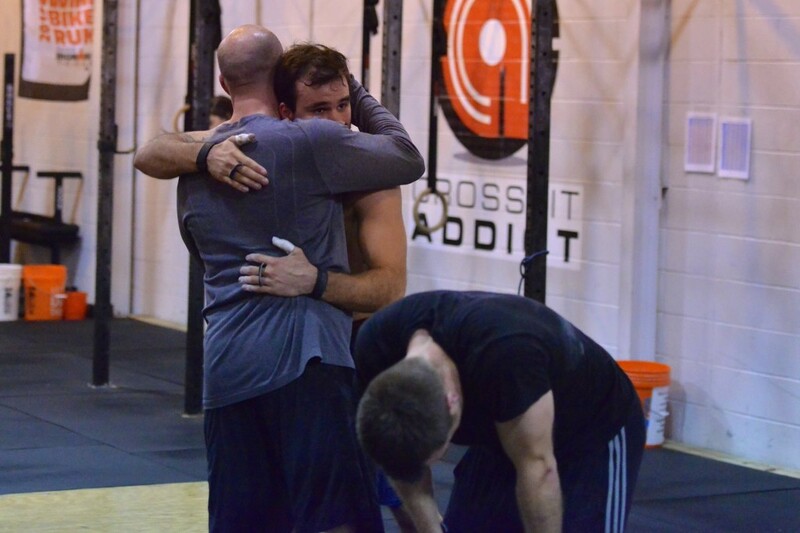 Matt & Trey embrace as I keel over in defeat, immediately following 16.3. 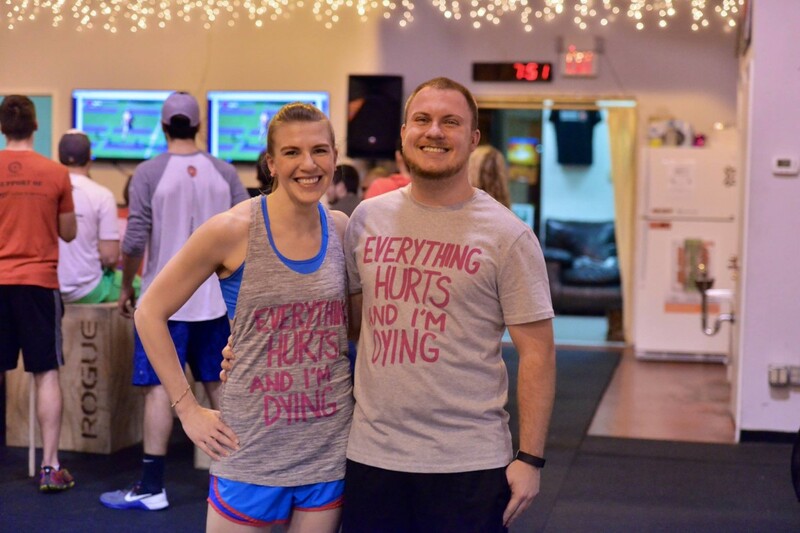 We both came into the Thursday night announcement with the same idea: we’re not working out. He was overdue for a rest day. I had done some work 3 hours prior, during open gym. We’d both throw down on Friday, like the rest of the world. I remember leaning over, hands on my knees, looking up towards Matt, shaking my head no. I remember Matt verbally saying no. The two of us then proceeded to do this little shark-like circling maneuver, where we would walk past each other, stop, and lock eyes, with an identical yet unexplainable grin. After 3 passes, we stopped in the middle, and simultaneously said, “Let’s do it.” Then bro-hugged it out. Despite us both being unprepared & tired, we managed to push each other to the 2nd & 3rd best scores in the gym. Matt jumped out to a quick lead by going unbroken on both the snatches and bar muscle-ups in the first round. I stuck with my plan of 5 & 5, plus singles on the bar. I started gaining a little ground with about a minute left, but Matt held on to beat me by 5 reps. He’s even more gymnasty than I thought. Kudos, brother. Matt leads the head-to-head battle 2-1, which means one more win for him & the rabbit prevails. I better bring it this week… and pray that a 1 rep max doesn’t get announced. Matt retested each of the first two workouts, and I retested 16.1. Several others in our gym, and many around the world, retest Open workouts. I completely understand the desire, and reasoning, behind wanting to retest. I find the concept interesting enough to devote another entire article to it.